The Birmingham, AL native performed as a wrestler and referee initially in Alabama & Georgia, most notably for NWA Wildside. 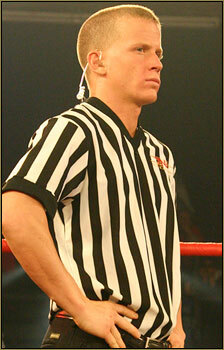 He joined TNA as a referee, and also wrestled in a feud with David Young as "Dropkick" Posey. He resigned from TNA to try-out for WWE and after several dark matches was the 1st referee to join WWE's development promotion Deep South Wrestling, initially without a WWE contract. Soon he was signed. When the ECW brand was launched he joined the WWE roster as one of its refs, eventually becoming the brand's Sr. official. In his time in WWE he was a ref in matches on all three WWE brands and appeared at two WrestleManias. Returning to wrestling in 2009, Mike Posey teamed with former WWE Referee, Wes Adams, as the Official Express and Corey Hollis as Alabama Attitude in ROH. Posey won numerous singles titles including RPW TV Title, NWA Ultimate Tag Team Title, APW North Georgia Title, Alabama Junior Heavyweight Title, NWA Tennessee Junior Heavyweight Champion, NWA Pro South All Out & Tag Team Champion, and more. Posey was ranked in the 2012 PWI 500 at 333 up from 438 in 2011 and 470 in 2010. 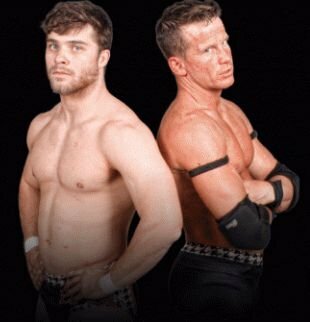 He is also available with Corey Hollis as the tag team Alabama Attitude. He is based in Birmingham, AL.